Some good friends asked me to whip up some Ninja Turtles for their kids that they can stick up on their bedroom walls. I’ve always loved drawing the turtles and figured it would offer some good colouring practice as I haven’t done any of that in some time. I stuck to a cartoony style for these ones and created a colour pallette from the old toys I used to love playing with, the old comic book series that I collected that required my mom to drive me in to the city to a comic book store every month, and some stills from the classic cartoon from the Saturday morning programming of my youth. 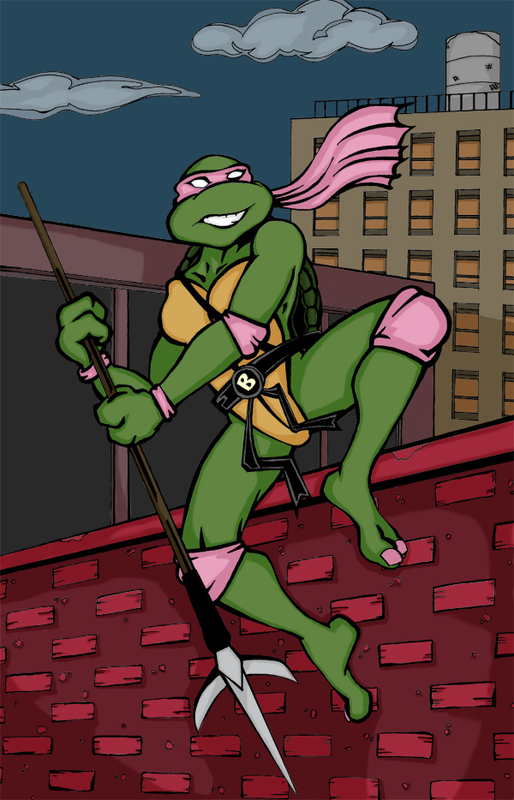 The third was for a girls room, so a girl turtle was requested. I’ve named her Belladonna. It’s Italian for “Beautiful Woman”. 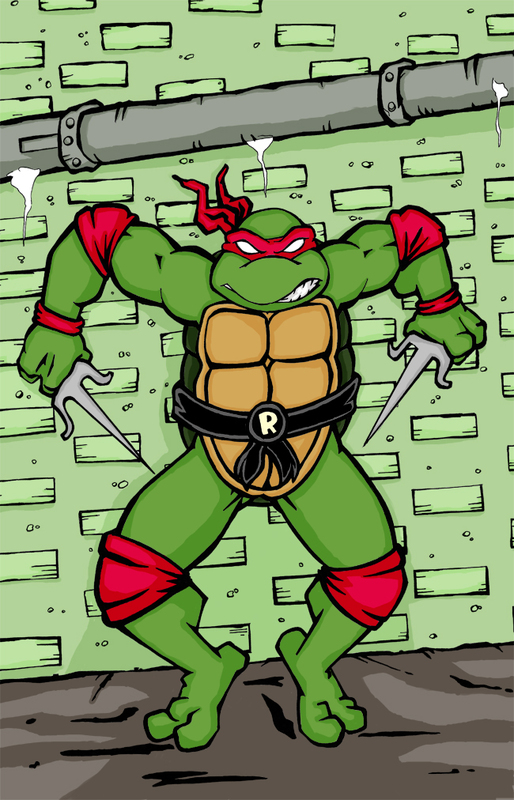 I think it’s fitting as the rest of the turtle gang have Italian names. Her bandana colours come from the poisonous Atropa Belladonna Plant. Beautiful, but deadly. Her weapon is a single sickled spear and is called a Katakamayari. These were done up for Juanita & Jon Jordan and their three amazing kids; Fraser, Lachlan, and Bellatrix. I hope they enjoy them and that the turtle love can live on for a few more generations! Nominated for Canadian Country Music Association Award! Copyright © Ryan McKenna 2010 All rights reserved.